ULTRA MUSIC FESTIVALFriday,March 26 - Saturday,March 27Venue: Bicentennial ParkAddress: 301 Biscayne BoulevardWinter Music Conference and Ultra Music Festival have partnered once again for the 2010 event. As WMC’s official closing event, delegates will receive complimentary admission to both days of Ultra. 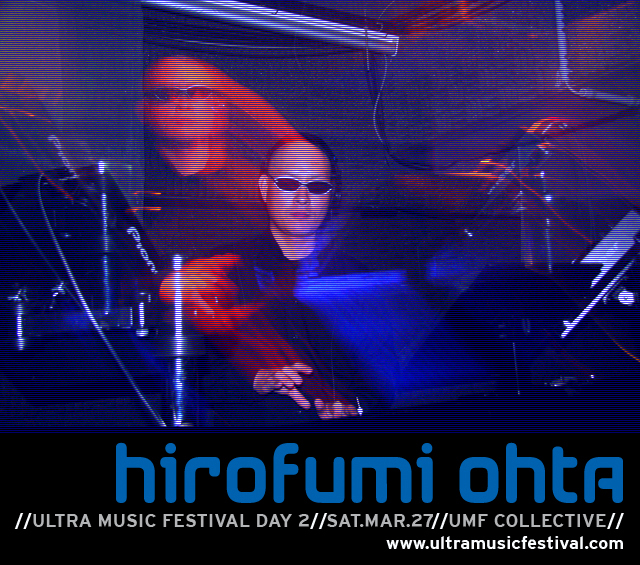 Paul Oakenfold Stage and Hirofumi Ohta Stage with Singer "Suzie Del Vecchio"
HIROFUMI OHTA spin at "UMF Collective" Day 2 Saturday, March 27th.